In this issue of the NET+ Cloud Highlights Newsletter, gain insights shared from the “How to Cloud” workshop at the 2016 Global Summit, get tips from NET+ member institutions on cloud security, and learn why relocating in-house services to the cloud is increasingly appealing to higher education institutions. Through NET+ Splunk, members receive a discounted, three-year enterprise license that offers easy, fast, and resilient ways ways to collect, analyze and secure massive streams of machine data generated by all of an institution's IT systems and technology infrastructure. 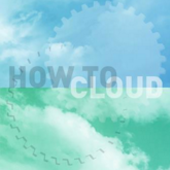 The "How to Cloud" workshop at the 2016 Global Summit was led by four domain experts sharing best practices from hundreds of campus deployments with hands-on practical exercises. Internet2's Andrew Keating shares insights from the workshop, from structuring campus governance, to selecting cloud-based products, structuring cloud contracts, and influencing product direction. NET+ Program Manager Nick Lewis attended the 2016 EDUCAUSE Security Professionals Conference in April and recapped the Internet2 NET+ program roundtable discussion hosted at the event. This EdTech article explains how colleges take advantage of cloud services without compromising security. Access tips from leading NET+ Cloud adopter institutions like the University of Michigan, University of Pennsylvania, and Columbia, who discuss vendor contracts, new security tools, and best practices to maximize security in the cloud. This Microsoft blog post offers updates on recent announcements on the extension of the Internet Egress Fee Waiver for all academic customers in North America and Europe. Now, NET+ Azure egress waiver benefit is broadly available to the entire research community. In this Business Officer Magazine article, learn why relocating in-house services to the cloud is increasingly appealing to higher education institutions, featuring insight from Internet2 President and CEO Dave Lambert and Internet2 Senior Vice President Shel Waggener. LabArchives integration with Box enables customers storing files over 250MB to be automatically stored in the institutional Box account, providing an extra layer of cloud-based secure storage, search and content sharing accessible through the LabArchives platform. Box and LabArchives are both Internet2 NET+ service providers and have undergone vetting and validation by Internet2 member campuses. The Internet2 NET+ program facilitates a rigorous service validation process led by universities, which ensures cloud services meet the research and education community's business, technical, legal, and compliance requirements. 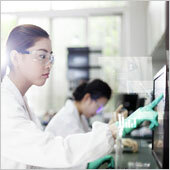 Access this recorded webinar to learn how your university’s research enterprise can benefit from an ELN to manage digital data assets with NET+ LabArchives. Learn more about NET+ LabArchives. Presenting with my friends from U Mich & I2 @ the I2 Global summit! 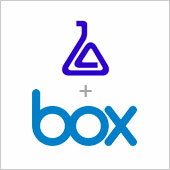 We were sharing our success with Box & SkySync! 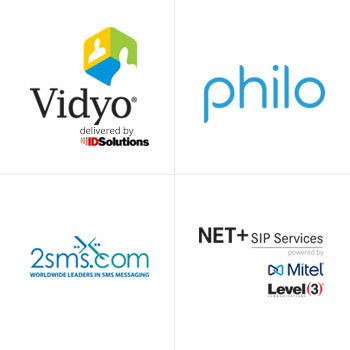 Learn more about the NET+ infrastructure and platform service providers.